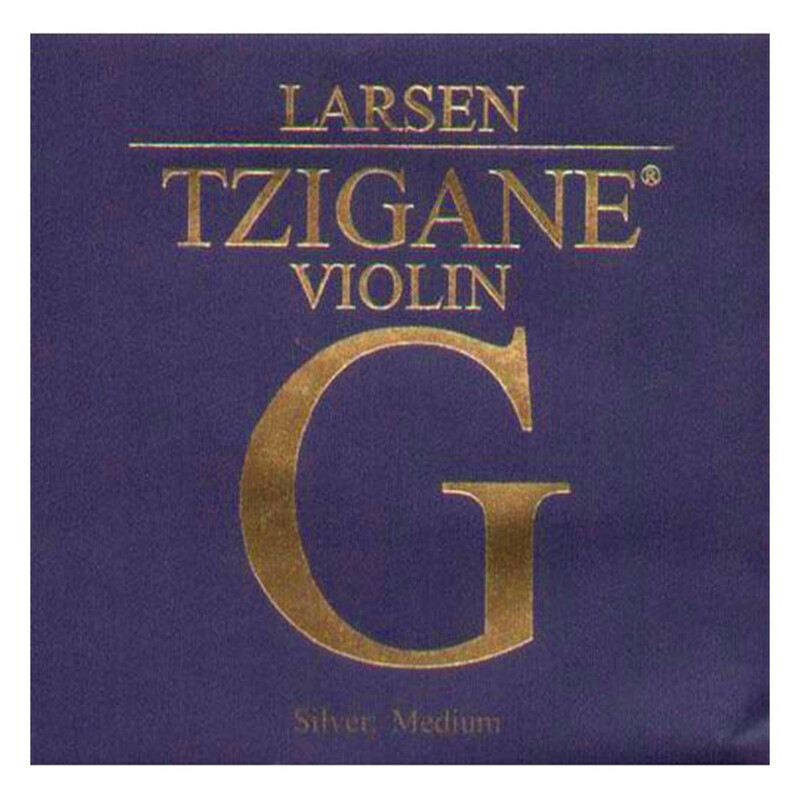 The Larsen L224-142 Tzigane Violin G String offers a reliable sound to violins with a naturally bright tone. The string features a multi filament nylon core which produces warm, mellow tones with sharp focus. This G string is wound with silver for increased depth and a more comfortable feel. The Tzigane strings have a naturally lower string tension to achieve a more authentic, traditional folk style. This G string is designed for full size violins and features a ball tailpiece end. The Tzigane string series offers players a whole spectrum of traditional sounds. The G, D and A strings’ nylon core contrast the steel E string for a sound that is applicable to both solo and rhythm playing. The high quality materials used and detailed craftsmanship make the Tzigane strings a reliable choice for players to take to the studio and stage. The Tzigane range is most suited to bright violins, as its mellow overall tone balances the wood’s clarity. These strings are ideal for musicians looking for a reliable, traditional tone with smooth playability.